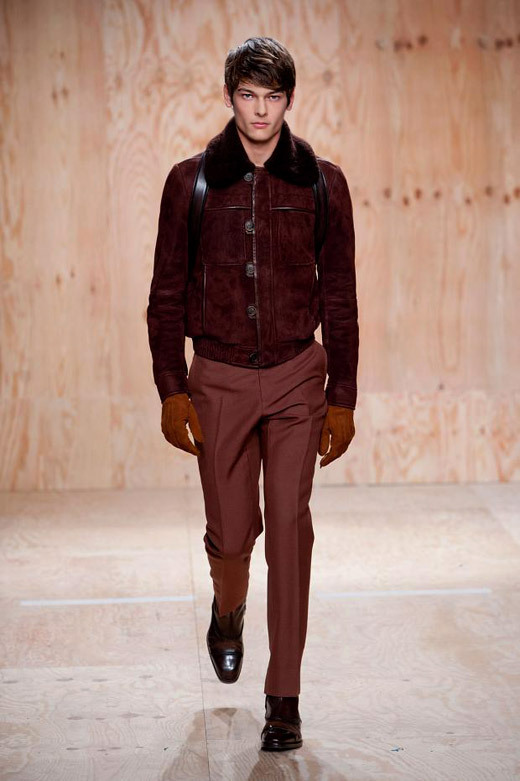 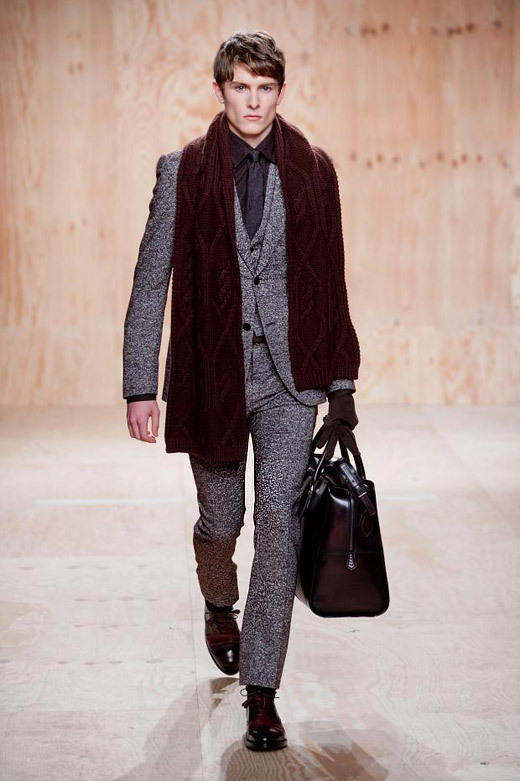 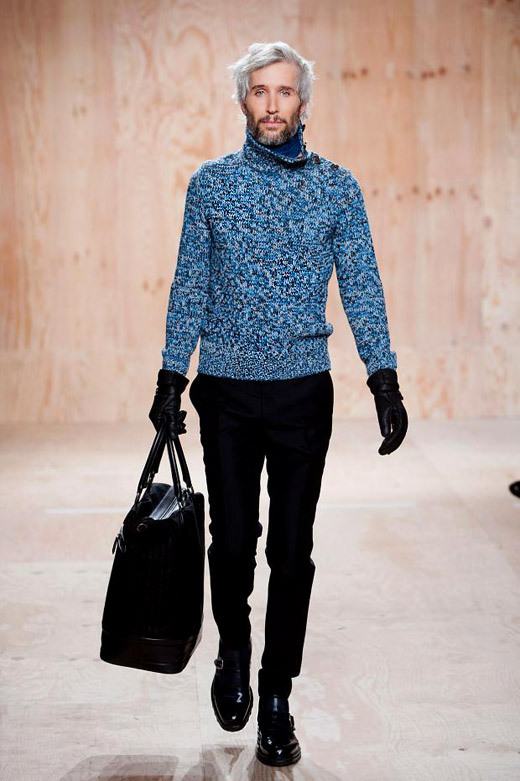 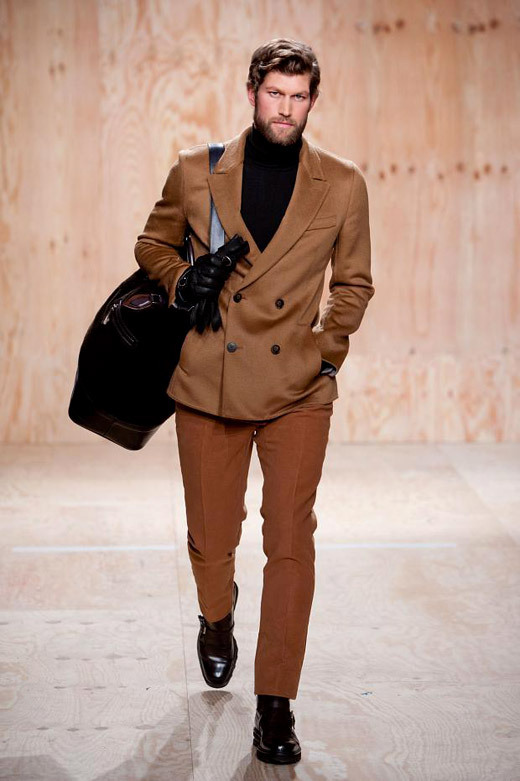 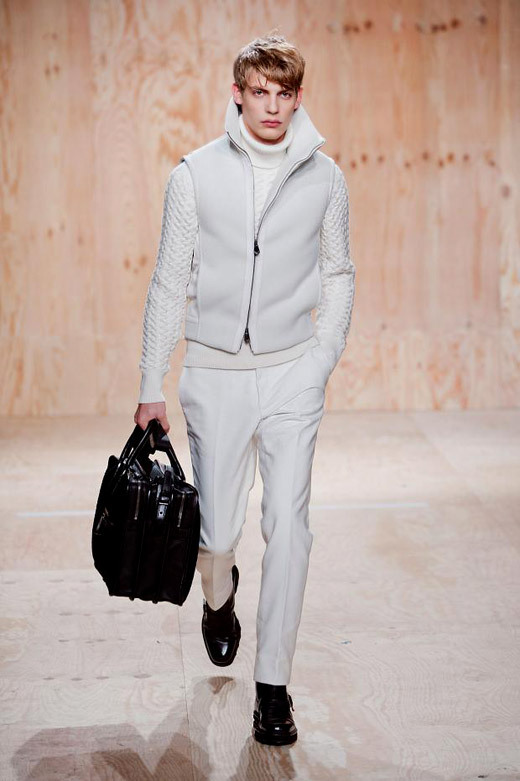 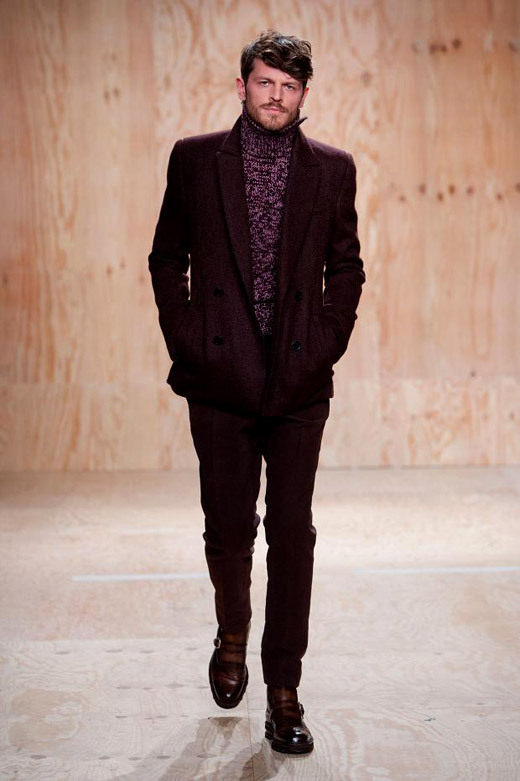 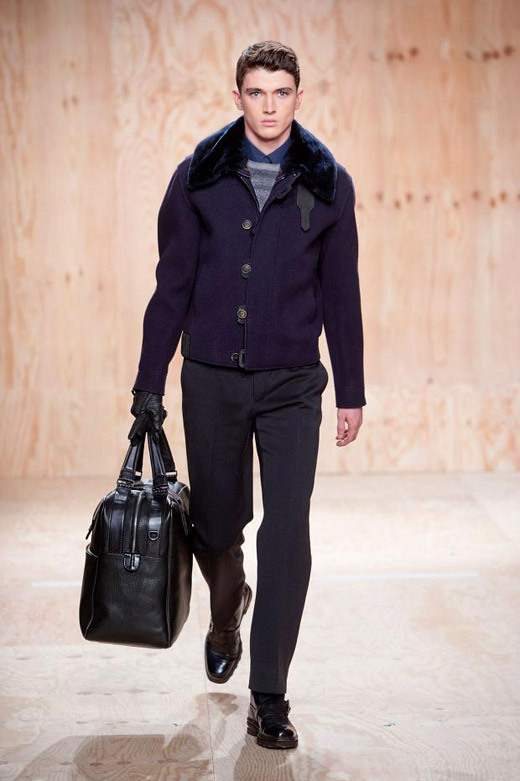 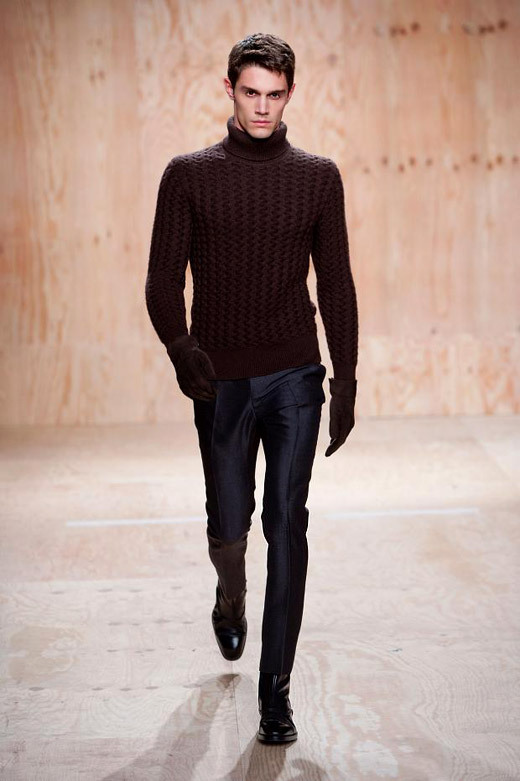 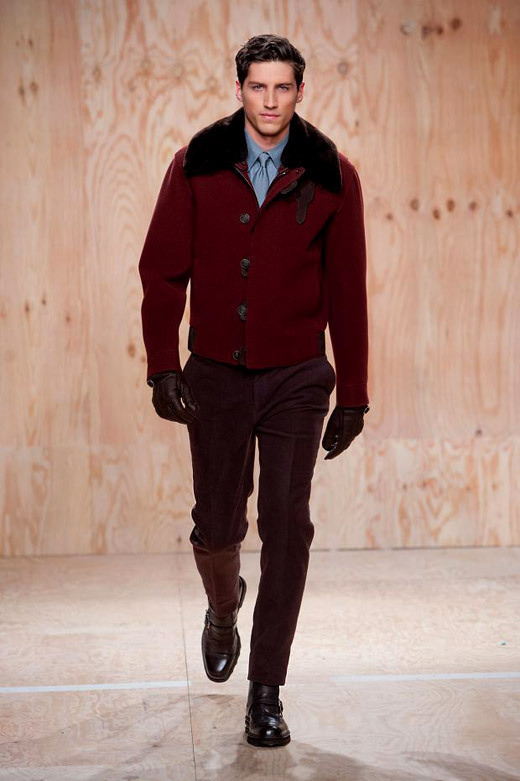 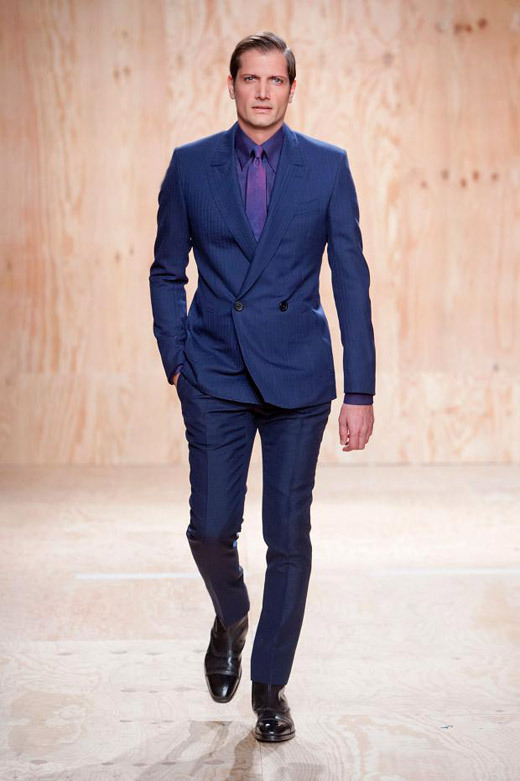 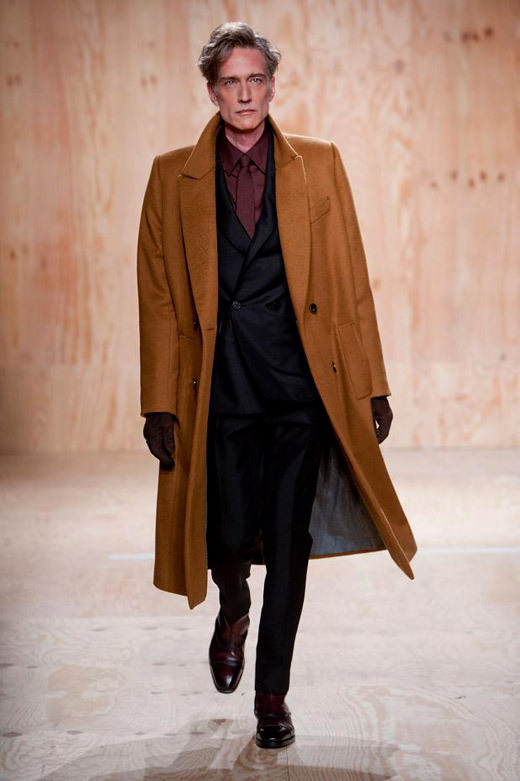 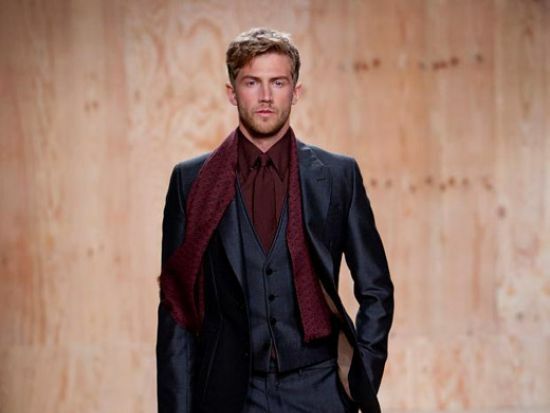 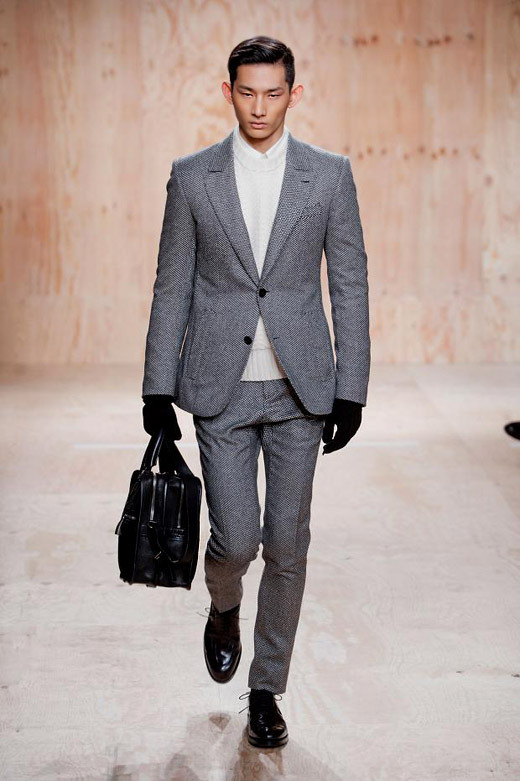 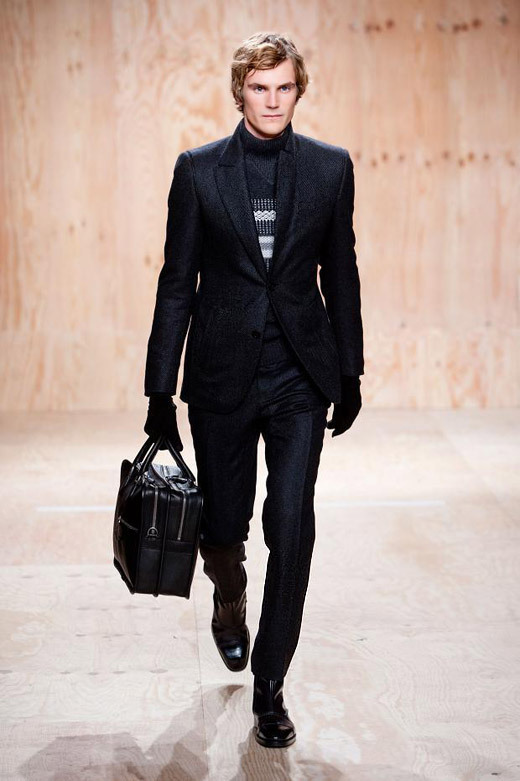 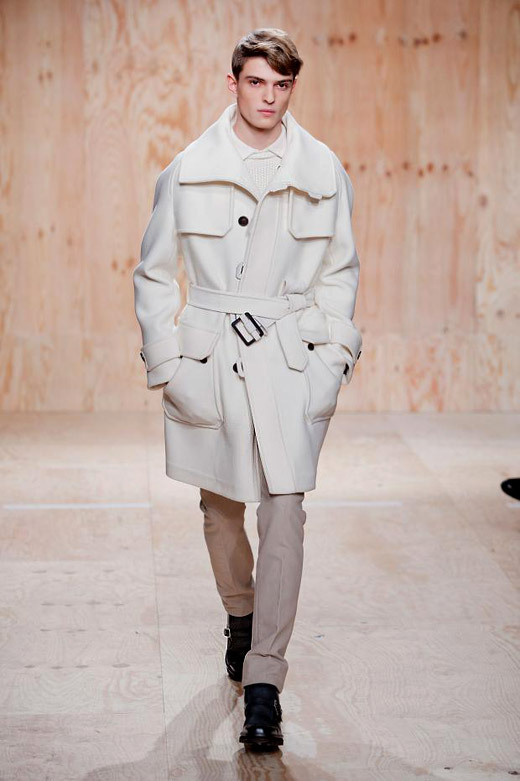 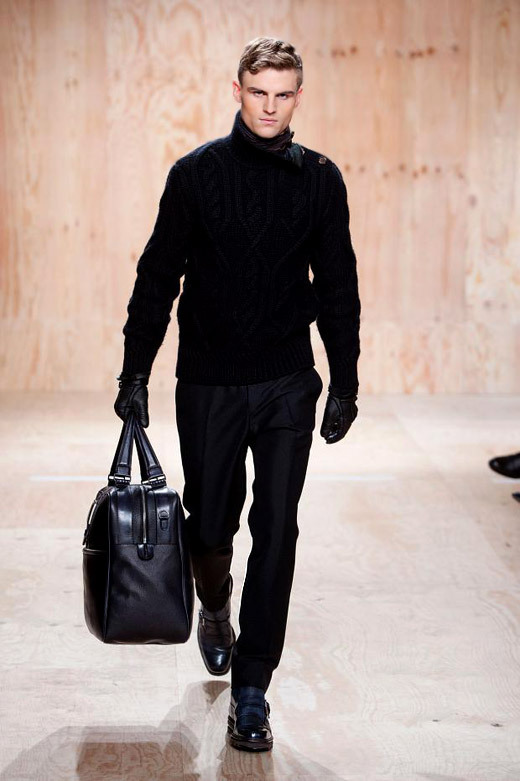 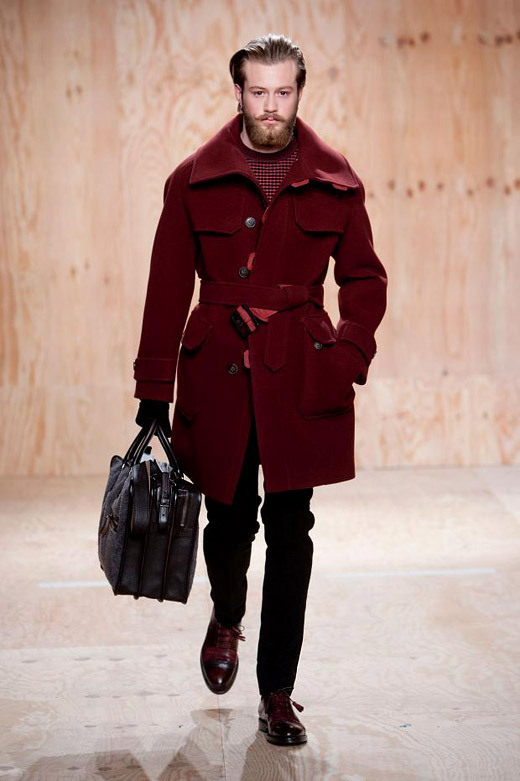 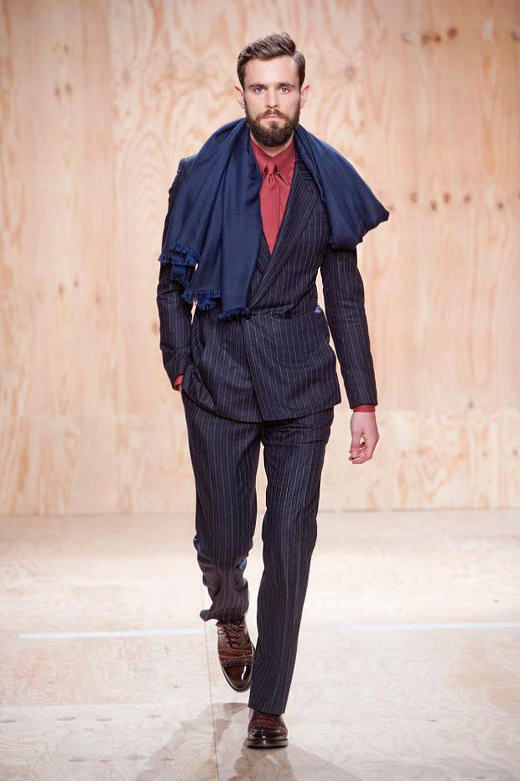 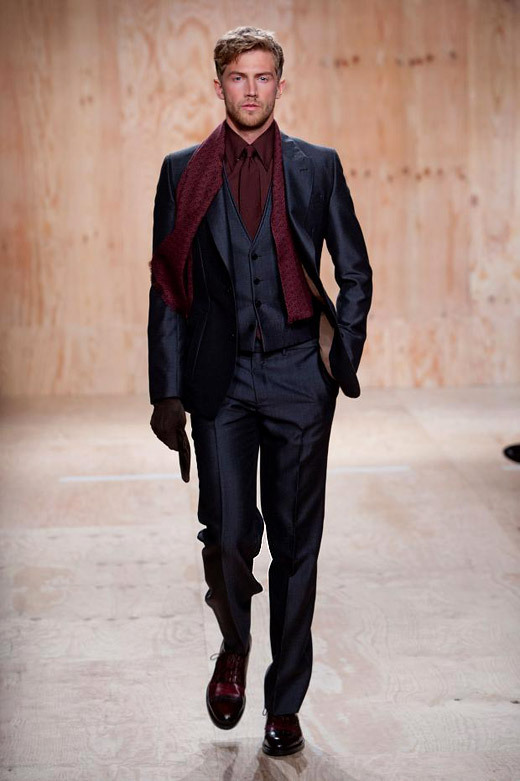 Berluti Fall-Winter 2014/2015 collection, presented earlier this year during the Paris Fashion Week, is very sophisticated, masculine and classic. 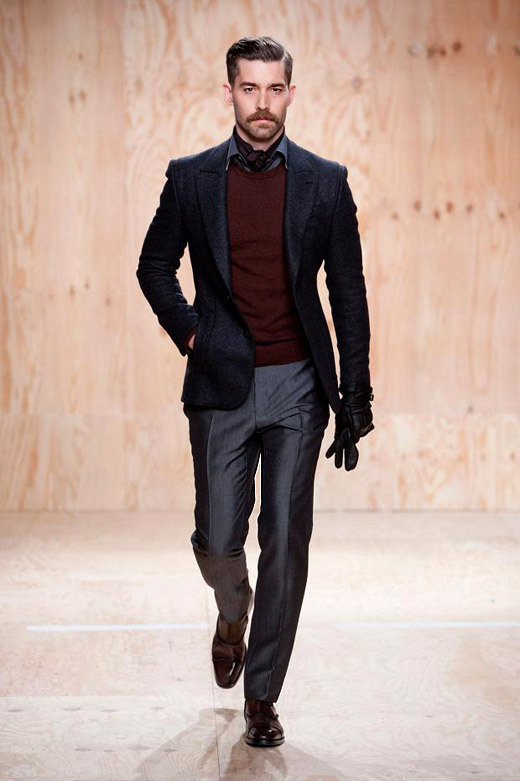 The Italian brand offers clothes for various ages and the color palette includes chocolate, camel, caramel and burgundy alongside the typical for menswear black, gray, blue and white. 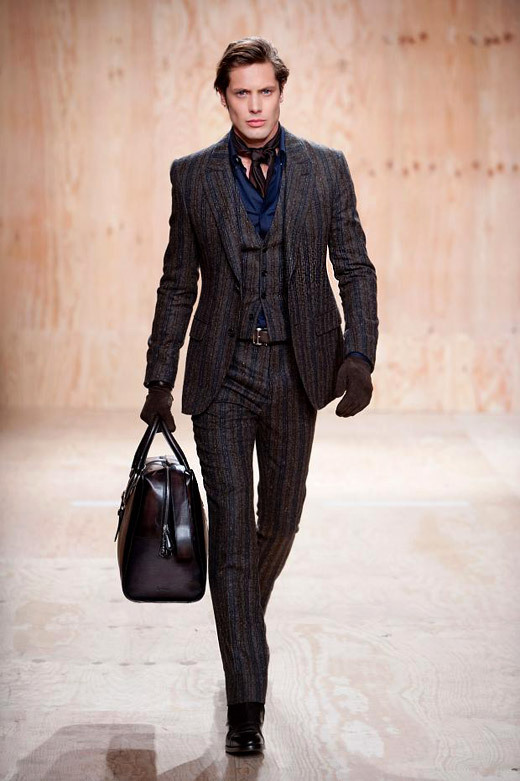 Berluti Fall-Winter 2014/2015 collection includes: sharpened silhouettes, three-piece suits, casual sporty trench coats, checked pattern jackets, double breasted cashmere coats, adjusted trousers, tight mesh jumpers, full-legged woolen skiing pants.